If you haven’t heard it before, Samsung has been working on an interesting project of theirs for a while now. I’m talking about their own mobile operating system TIZEN. This one is still based on Android, as this is an open source project, but has Samsung property inside it, instead of Google’s. Meanwhile, Samsung decided to launch their first smartphone to officially use Tizen and they called it Samsung Z. 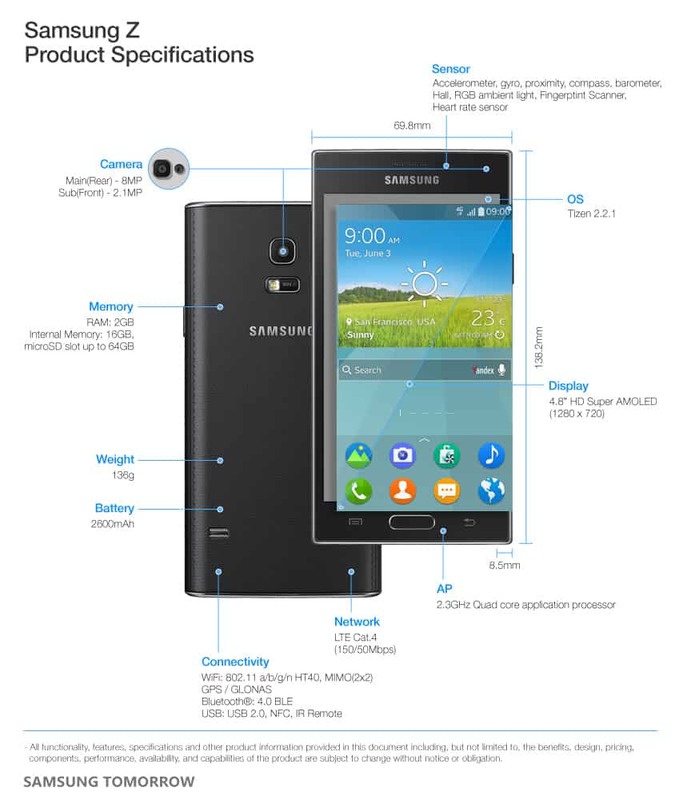 From June 3rd, Samsung Z is available to see at the Tizen Developer Conference in San Francisco. The features that Samsung Z is based on are, as Samsung states: improved memory management, a much faster start-up time, faster responding multi-tasking, full support for 2D and 3D graphics, a smoother experience and an already mainstream fingerprint sensor. The user interface is different from Android, but at the same time has similarities, as Tizen is derived from Android. As for design, it is slightly slimmer and sports a new kind of feel, while still aligning with Samsung’s much famous design from the Galaxy line of devices.